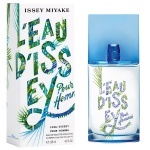 Since 1994, L'Eau d'Issey pour Homme has become a hallmark of sophistication in the world of fragrances. It awakens the senses with its blend of citrus, precious woods and spices. The pure, energising scent is perfect for a modern, independent man. 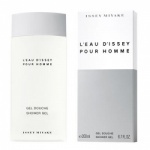 Includes: Issey Miyake Eau d'Issey Pour Homme Eau de Toilette 75ml, Shower Gel 75ml and After Shave Balm 30ml. A refreshing, invigorating balm. Soothes the skin after shaving, with a delicate scent. 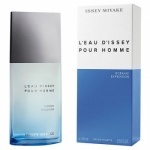 Take part in a sensational expedition with L'Eau d'Issey Pour Homme, and feel the strength and freshness of the Ocean. 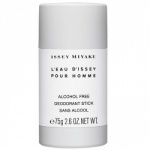 A toning, cleansing gel for the body that is easy to rinse off and does not dry the skin. For a clean, soft and delicately scented skin.